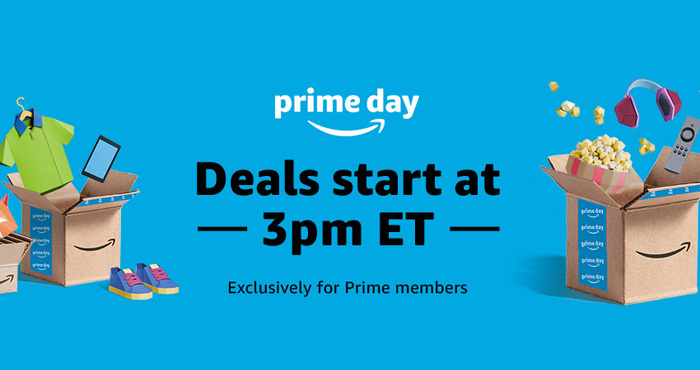 Amazon Prime Day is here: this shopping extravaganza kicked off today and lasts through midnight on July 17. It's a great opportunity to cash in on some awesome deals. But where should you start shopping amongst the millions of sales Amazon is going to roll out over this 36-hour shopping event? First, make sure you're an Amazon Prime member, as these deals are only open to Amazon Prime members. Download the Amazon App for an extra $5 off select Prime Day deals and the ability to set notifications when deals go live. Browse to Menu > Today's Deals and select the Upcoming tab. You'll be able to see deals listed six hours before they go live. Select "Watch the deal" for anything you want to keep tabs on. And make sure to read our tips on how to make sure you're getting a good deal. There are some merchants who raise prices ahead of sales to show a big discount. While deals will come and go throughout the day, we've rounded up the highlights and will continue to update this post with the best deals we find. Echo Show for $130 ($100 off), a big discount on this Echo device with a screen that's great for video calling. Echo Spot with Ring Video Doorbell bundle for $280 ($100 off). Kindle Paperwhite for $80 ($40 off), a solid deal on a great ereader (though not Amazon's top of the line). Fire HD 8 Kids Edition for $90 ($40 off), a great choice for kids that comes bundled with FreeTime Unlimited and a worry-free guarantee. And if that's too much tablet, the Fire 7 Kids Edition will be $70 ($30 off). Fire TV products will be on sale, with Fire TV Stick with Alexa voice remote costing $20 ($20 off), Fire TV with 4K UHD and Alexa voice remote costing $35 ($35 off), and the 50-inch Toshiba 4K UHD TV Fire TV Edition $290 ($110 off). When Prime Day arrives, you will see even more sales on Amazon gear. If you've been wanting to pick up a Fire TV, Fire tablet, Kindle or Echo device, now is the time to buy. Amazon's house brands are also getting a good across the board price cuts. You'll get up to 30% off AmazonBasics products, including tech essentials like cables and Bluetooth speakers. Amazon's assortment of house brands, which feature pantry items and other household essentials, also have a 30% price cut. Though they aren't name brands, Amazon's alternatives are usually solid products at a value price — which will be even better for Prime Day. The deals continue at Amazon-owned Whole Foods stores with Prime member only deals — though what Amazon has announced so far doesn't sound any better than the weekly Prime deals they've started offering. (Check your Whole Foods app for current sales.) Still, if you spend $10 at Whole Foods by July 17, you'll get a $10 credit to spend on Amazon, before or after Prime Day. Prime Video digital movies and TV shows for up to 50% off, and rentals for $2 each. Amazon Music Unlimited for $1 for four months, a big discount off the regular $8/mo price. Kindle Unlimited for $1 for three months, another big discount off of its $10/mo price. FreeTime Unlimited for $3 for three months. That's three months of Amazon's kid-friendly content subscription for the price of one. Audible for $5 per month for three months, a lot less than the usual $15/mo price. This lets you download any audiobook on Audible for every month you subscribe — a huge bargain considering audiobooks often retail in the $20 range. But it isn't just Amazon stuff that's on sale. Be warned, however, that these deals could come and go in a flash as products sell out. Always double check pricing — and whether there's a better deal somewhere else — before you buy. Ecovacs Deebot N79S Robot Vacuum for $180 ($120 off). We will update our top deals throughout today and tomorrow. Best Buy, offering sales on TVs, including a 32" Insignia smart TV that matches Amazon's $130 price. Dell, offering up to 40% off select PCs and electronics. eBay, offering a cheeky selection of sales for $119 (the same cost as a year of Amazon Prime). Lowes, offering 10% off sitewide Monday and Tuesday, with a free Google Home Mini for anyone who spends more than $150. NewEgg, offering a range of electronics deals at up to 75% off. Like Amazon, these deals may come and go fast. Target, offering up to 30% off Google products as well as 30% off a bunch of other products, from toys to personal care. And if you spend $100 on the website, you'll get a free six-month membership to Shift, Target's same-day delivery program. It kicks off on July 17. These won't be the only retailers offering bargains, so if you're shopping at Amazon, be sure to do a quick check of the competition before you buy.